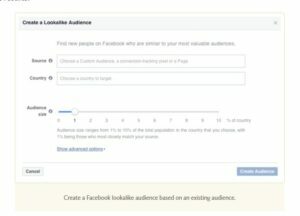 Are you considering Facebook ads? 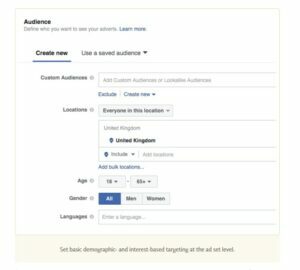 Wondering how to set up a successful Facebook ad campaign? Understanding the fundamentals of Facebook advertising can help you avoid common mistakes that cost time and money. 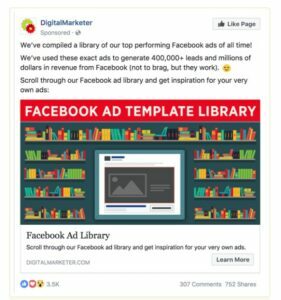 In this article from the Social Media Examiner, you’ll discover how to create an effective Facebook advertising campaign. 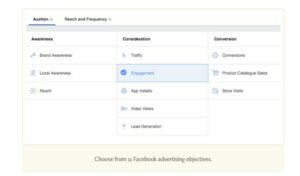 What’s your objective for Facebook advertising? For example, do you want to generate new leads for your business, sales for your ecommerce store, or subscribers to your blog? Do you have existing or consistent website traffic? Do you have an email list? If so, is it active and how many people are on your list? Can you create unique content about your business/industry? Let’s now look at three Facebook advertising strategies you can use based on your answers to these questions. Provide free content to warm up your audience. Content marketing is one of the most effective ways to differentiate your business and warm up cold audiences. Provide free valuable content that entertains, educates, or inspires your ideal customer. You could use videos, lead magnets (guides, checklists, coupons etc. ), or blog posts, for example. Engage people on your email list. Delivering your message via your Facebook ads and email marketing is twice as effective. Customers will see your message in their inbox and when they browse Facebook. Retarget website visitors. If you install the Facebook pixel on your website, you can target people who have recently visited your site. A retargeting strategy can also be the second phase of a content-first strategy. Build a custom audience of people who have engaged with your video content or Facebook page, and then run direct-response campaigns to them, promoting your products or services. 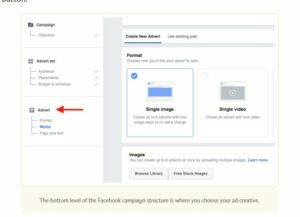 Once you’ve defined the strategy for your Facebook ads, here’s how to set up your campaign for success. The structure of a Facebook advertising campaign consists of three levels: a campaign, an ad set, and an ad. The first level, the campaign, is the basis of your ad. At the campaign level, you choose your objective, which is the action you want people to take when they see your ads. Facebook has three objective categories: Awareness, Consideration, and Conversion. The objective you select depends on your strategy. For example, suppose you have a content-first strategy. Because video is currently the most effective type of Facebook content, you could run specific campaigns with the Video Views objective. 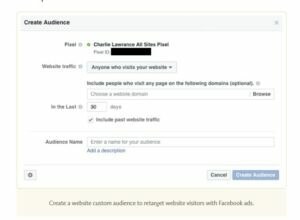 If you want to run a retargeting campaign to send people from Facebook to your website, choose either the Traffic or Conversions objective, depending on what specific action you want people to take. The best way to determine your campaign objective is to work backward from your goal. If your goal is to generate sales for your ecommerce business, for example, you could offer people 10% off of their first order to entice them to make a purchase. Instead of giving away the discount code in your ad creative, send people from Facebook to a landing page where they have to opt in before receiving the discount code. Because you want people to take a specific action, Conversions is the most appropriate campaign objective. 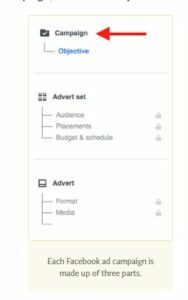 The second stage in the campaign structure is the ad set, which specifies how your ad will run. Targeting is one of the most important elements of your campaign and it can make or break performance, even before your campaign goes live. Let’s look at three ways to define your audience. The easiest way to target your audience is to use the demographic and interest options. This approach is generally used to target new people who haven’t previously interacted with your business. Here you’ll choose demographic constraints such as location, age, gender, and language. In the Detailed Targeting section, you can narrow your audience by choosing from thousands of interests, behaviors, demographics, and more. There’s no rule for how large your target audience should be. Typically you’ll get the best results with basic targeting by using a layered approach. Choose a mixture of interests and behaviors to zero in on your ideal customer. For example, suppose you’re a luxury retailer in the wedding industry. Start by targeting people interested in weddings and things related to weddings. Next, you want to narrow your audience using the AND condition. Click Narrow Audience and select the life event of people who are recently engaged. Finally, consider layering a financial variable (such as income level and affluence) and a purchase behavior (such as premium brand buyers). 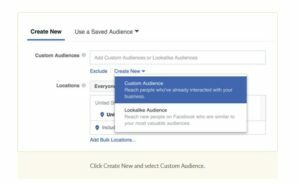 Custom audiences let you target people who have had some interaction with your business on Facebook, on your website, or in your email marketing. Custom audiences can deliver some of the best results for retargeting campaigns because you’re targeting warm audiences of people who already know, like, and trust your business. 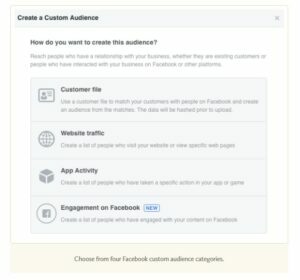 When you create a custom audience, you can choose from four categories: Customer File, Website Traffic, App Activity, and Engagement on Facebook. Let’s look at how to use each one in turn. 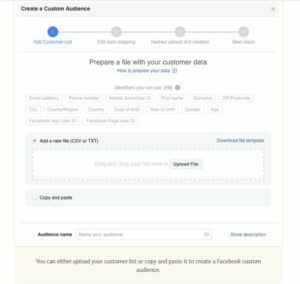 With the Customer File custom audience (otherwise known as email custom audiences), you upload or import a data list and Facebook will cross-match the people on your list to find them on Facebook. This custom audience is a game-changer if you have an existing customer or subscriber list because you can specifically target that audience with your Facebook ad campaigns. Website custom audiences are based on people’s activity on your website. You use the Facebook pixel and conversion tracking to track visitors and their actions. This type of custom audience is best for retargeting website visitors. You can create different website custom audiences based on the pages people visited, how long they stayed, and what actions they took. The App Activity custom audience allows you to include people who have completed a specific action in your app or game. It’s similar to a website custom audience, but the actions occur in an app rather than a website. Engagement custom audiences include people who have interacted with your content on Facebook. Currently, you can choose from four types of engagement custom audiences: Video, Lead Ad, Canvas, and Page. Video engagement custom audiences let you group people by how much of the video they’ve watched, which is the fastest way to build a retargeting audience. With a Lead Ad custom audience, you can target people who have interacted with your lead ads. The same is true for Canvas and the canvas ad format. Page engagement custom audiences let you target people who’ve recently interacted with your Facebook page. It’s important to note that different custom audiences have different match rates. 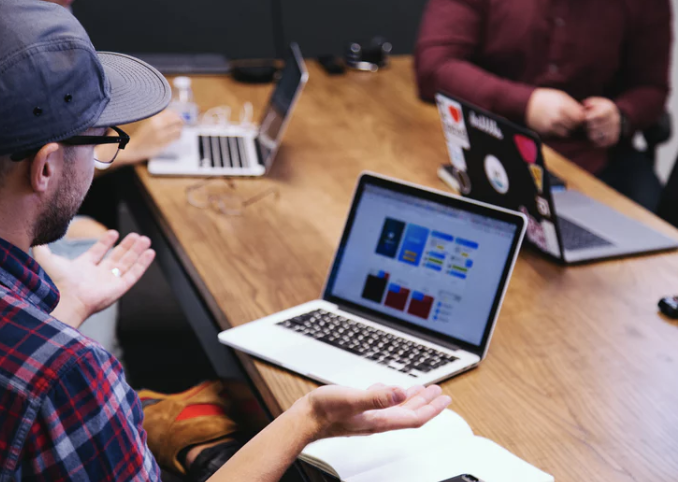 For example, a customer list custom audience might only have a 50% to 75% match rate because not everyone will sign up for your email list (or purchase your products) with the same email address associated with their Facebook account. Video custom audiences, on the other hand, have a 100% match rate because the content is contained within Facebook. The same is true for the other engagement custom audiences. Lookalike audiences are the holy grail of Facebook ad targeting because they consistently deliver the best results. Put simply, lookalike audiences are effective because of how Facebook uses the algorithm to create them. Facebook takes the data points from a source audience that you specify and uses them to find similar people. It’s like cloning your existing audience. Check out this step-by-step article on what lookalike audiences are and four different types you can use in your next Facebook ad campaign. 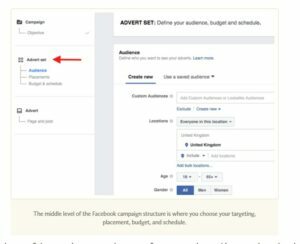 After you define your audience with Facebook’s targeting options, you can choose placements, set a budget and schedule, and select a bid type. The last stage of the campaign structure is the ad level, otherwise known as your creative. Your ad is what your customers or audience will see. This is where you choose your ad format and creative including images, videos, news feed text, URLs, display link text, and a call-to-action (CTA) button. 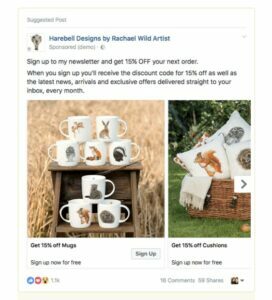 What your Facebook ad will look like depends on your advertising strategy, campaign objective, and ad format. Some objectives constrain which ad formats you can use. For example, the Video Views objective allows you to choose only video ad formats and the Local Awareness objective doesn’t allow canvas ads. All of the other advertising objectives let you choose from five different ad formats: carousel, single image, single video, slideshow, and canvas. 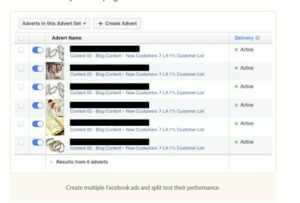 The number-one best practice of Facebook ad creative is to create multiple ads as you run your campaigns. Don’t just stop after you’ve created a single image ad, for example. By creating multiple ads to test variations in copy, imagery, and even overall ad format, you can improve performance over the life of your campaign. Introduce new ads when the relevance score of your current ads decreases, often due to high ad frequency (where people keep seeing the same ad again and again), as the best way to continue to generate results from your campaign. Split test the image. Create another single image ad with a different image. Split test the copy. Duplicate the ad but change the copy. Split test the ad format. Introduce a new ad with a different format (such as, a carousel ad or maybe a video ad). A common mistake people make is to kill the campaign and start a new one. If your first ad was delivering results, don’t stop it; introduce new ads instead. 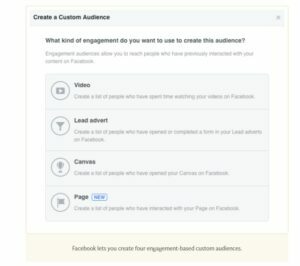 Before creating your Facebook campaigns, take the time to define your campaign strategy and where in your sales funnel you can use Facebook ads to grow your business.